You can click on “LADY COLOUR” for more necklace, bracelet, jewelry set, earrings, there are more affordable and beautiful designs for your choice. 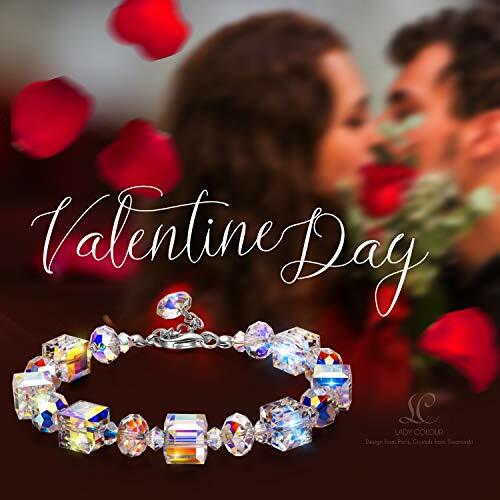 Thank you.♥Valentine’s Day Gifts♥ Comes in an elegant jewelry gift box, perfect for any gift giving occasion. Great gifts for daughter, gifts for women, gifts for mom, gifts for wife, gifts for aunt, gifts for best friend, etc. 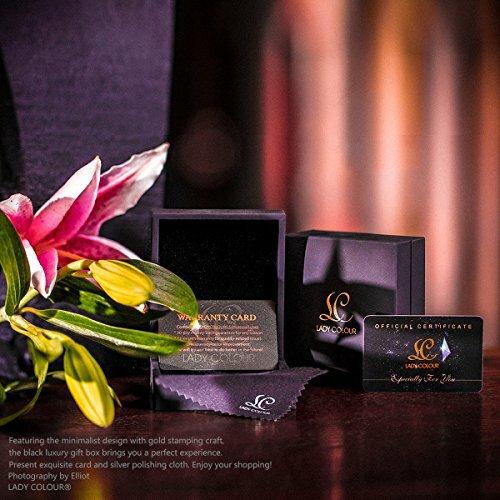 Ideal Birthday Gifts, Anniversary Gifts, Christmas Gifts, Graduation Gifts, Mother’s Day Gifts, Valentine’s Day Gifts, etc, or just as a surprise to remind that special one how much you care! 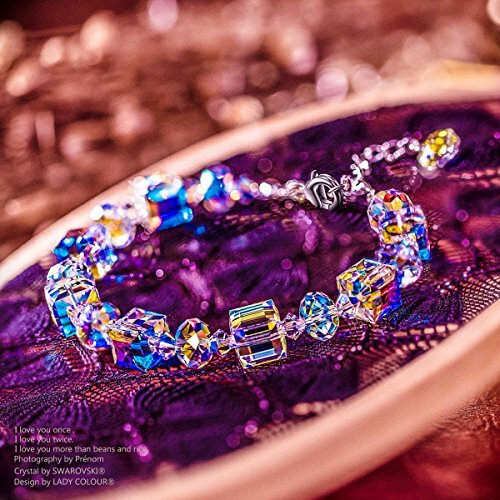 ♥Descriptions♥ This bracelet is strung with sparkling Aurore Borealis crystals, has a beautiful light-catching effect, can be layered with your watch or other styles for an on-trend look. ♥Specifications♥ Cube Bead: 0.31*0.31 inch, Briolette Bead: 0.31*0.16 inch, XILION Bead: 0.16*0.16 inch. 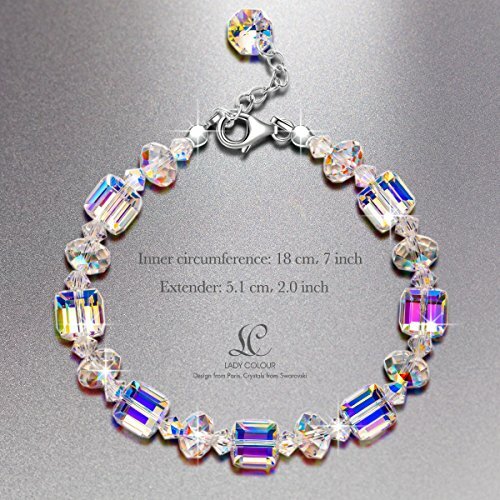 Bracelet Length: 7 inches + 2 inch extender, could be easily adjust to the most comfortable size. ♥Crystals from Swarovski♥ LADY COLOUR purchased genuine Swarovski Crystals as raw material and skillfully applied on our own products. This jewelry belongs to LADY COLOUR, NOT SWAROVSKI.